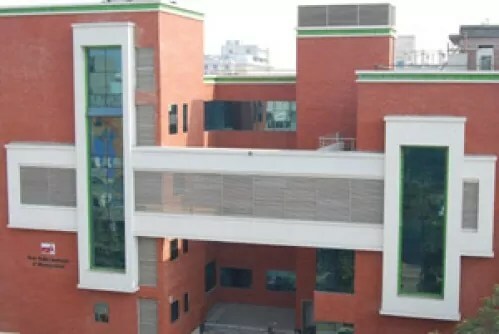 has been consistently ranked among the top MBA schools of India by the AIMA, IMRB, Business World, Business Standard, Business India, DNA Group of Newspapers and the KPMG. NDIM Tughlakabad and given 100% finest placements year on year basis with more than 250 companies recruiting at its campus every year for the past 5 years. Business India has consistently rated NDIM in the highest A+++ category, while KPMG has ranked NDIM Tughlakabad among the fastest growing MBA-schools of Asia. Providing Quality Education and thereby producing professionals in interdisciplinary areas of Management and other related areas . To integrate the functional areas of Business Management and Information Technology to combine Theoretical knowledge with Practical skill formation. Hence to facilitate all round Personality Development,to promote a sense of Discipline, Dedication, Commitment, Moral Values and Social Responsibility in conclusion . Rs. 8,25,000/- for 2 years. Number of seats 420 Seats. Specializations Marketing, Finance, Human Resources, Operations, International Business, Information Technology, Business Analytics . A Photocopy of Entrance score card. Ranked as 25th Best MBA B School of India on , June’2017. MBA at NDIM is internationally accredited by the international rating body, ASIC (UK), with “Premier College Status”, a rare international recognition. Ranked as 25th Best B-School in India by AIMA-Business Standard, June’2016. PGDM course Require at least a 3-year Bachelor’s degree with minimum 50% marks in aggregate of all the subjects or equivalent in any discipline recognized by the Association of Indian Universities/AICTE as eligible for Post Graduate Studies or possess an equivalent qualification recognized by the Ministry of HRD, Govt. of India. Candidates in the final year of a Bachelor’s degree course or equivalent are also eligible to apply . However they are required to furnish the proof of graduation (Mark sheets till final semester )as per the Requirement before year End in conclusion. NDIM Delhi MBA Cut off is Minimum of 50 percentile in Entrance Exams.